Click on one of the thumbnails below to access the 9 photos of this aircraft. 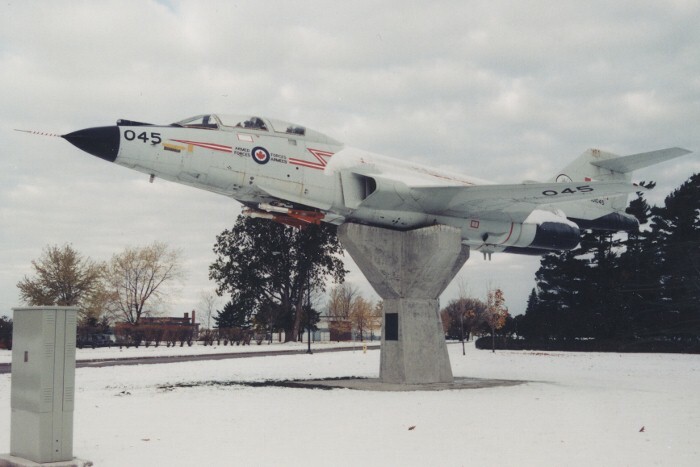 Voodoo #101045 at CFB Uplands (Ottawa, Ontario) while it was a gate guardian at the base. Voodoo #101045 with the Snowbirds flying overhead. Voodoo #101045 while in service with the CAF while at Trenton. Note the red bar on the top of the wing indicating it was flying with the Bobcats demonstration team. Voodoo #101045 while at the Survival 1982 Exercise in Chatham, New Brunswick. Voodoo #101045 received a camouflage paint scheme for Maple Flag War Games at Cold Lake, Alberta in 1982. A remarkable image of a 416 Squadron Voodoo on an afterburner take off. The F-101 Voodoo was originally developed for the USAF, as a single seat interceptor. 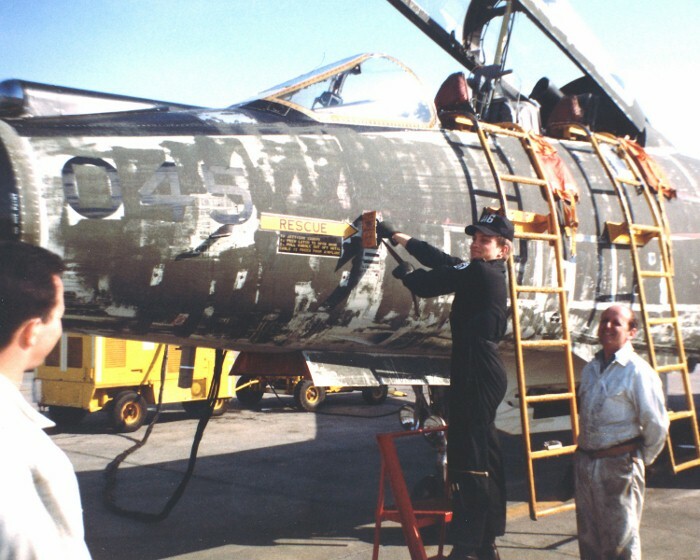 Modifying the aircraft to a two seat configuration involved extending the fuselage forward to house a new weapons system and a second crewman to operate it. The bigger F-101B Voodoo was also fitted with more powerful Pratt & Whitney engines, with their characteristic large afterburners. It entered service with the USAF in January 1959. After the cancellation of the Avro Arrow in February 1959, Canada urgently needed a fast interceptor to meet the continued threat from Soviet manned bombers. 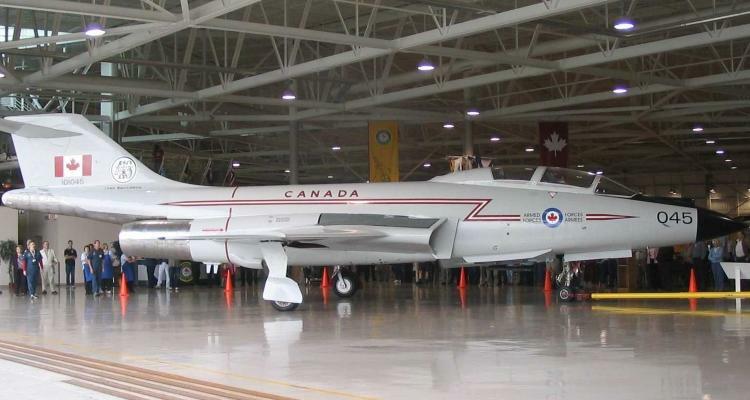 By late 1959, the RCAF selected the Voodoo as the aircraft that best met the nation’s requirements. In June 1961, sixty six nearly new CF-101B Voodoos were purchased from existing USAF stocks. 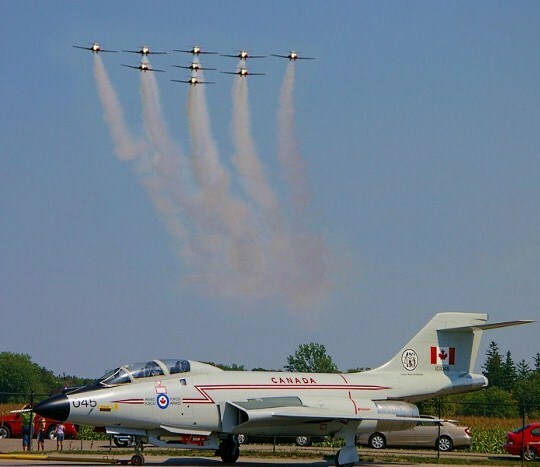 The deal transferred the aircraft to five front line squadrons and an OTU, replacing obsolete CF-100s. 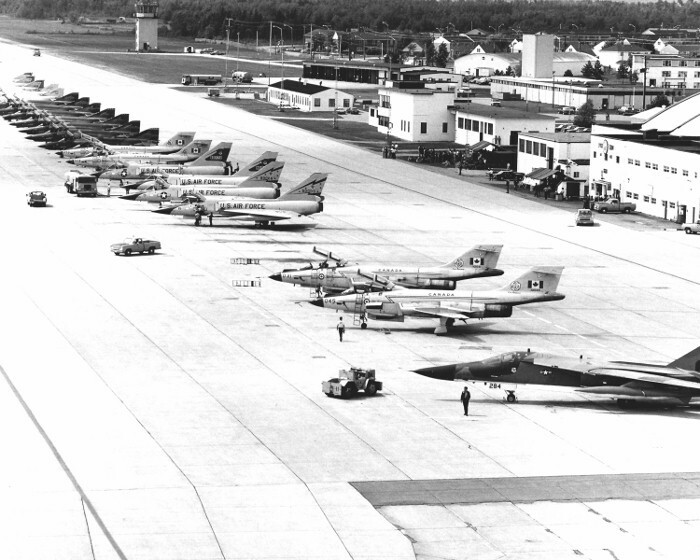 At the beginning of the 1970s, the aging CAF Voodoo fleet was exchanged for sixty six lower timed USAF Voodoos. These replacement aircraft were equipped with a superior missile control system. Even with the Voodoo fleet restored to its original size, servicability began to be a problem. 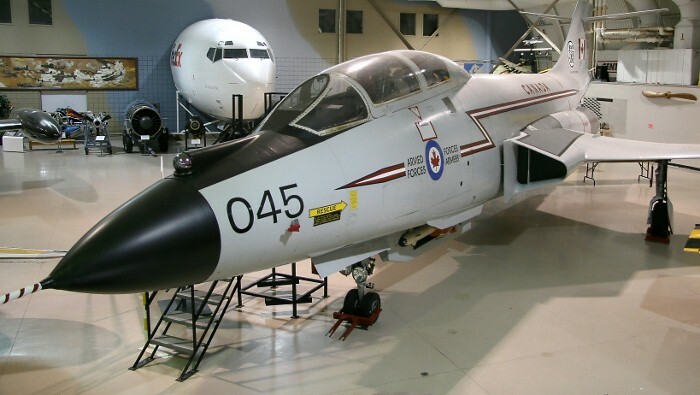 In 1977, the CAF launched a program to find a new fighter to replace the Voodoo and by April 1980, the search had narrowed down to the CF-18 Hornet. Most of the fleet was phased out by the end of 1984 and the last Voodoo flight anywhere was made in April 1987. McDonnell Aircraft manufactured 479 F-101B Voodoos, between 1957 and 1961 and they served with both the United States and Canadian Armed Forces. The Museum's McDonnell CF-101B Voodoo was built originally for the USAF in 1958 and served with the 49th and 60th Fighter Interceptor Squadrons before going into storage in 1968. 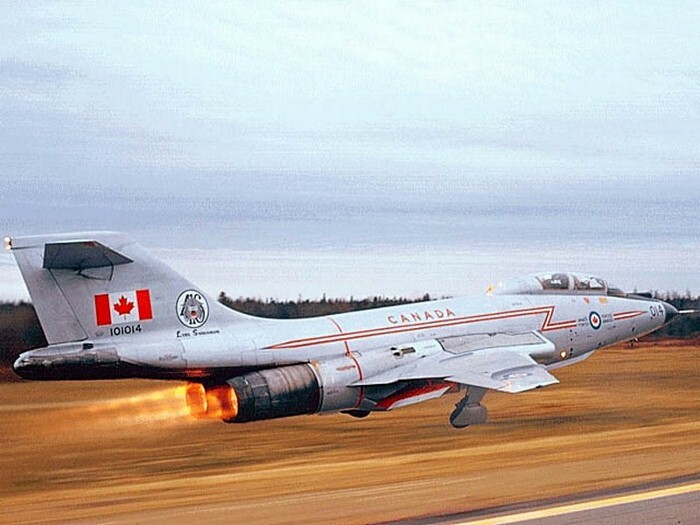 It was taken on strength by the Canadian Armed Forces in June 1970. The aircraft served with No. 416 "Lynx" Squadron, Chatham, NB and with No. 409 "Nighthawk" Squadron, Comox, BC. It was retired from No. 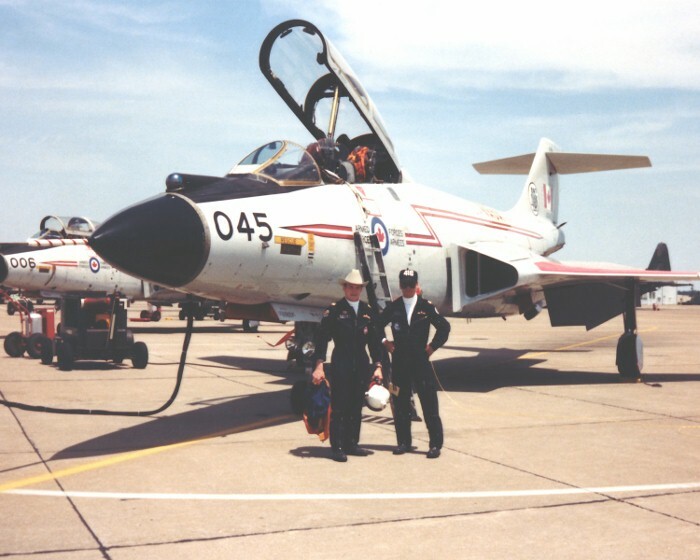 409 Squadron in September 1984. 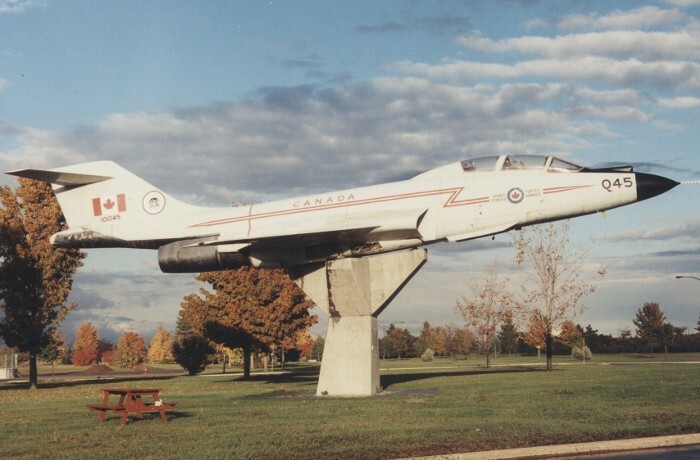 The Museum retrieved the Voodoo from a pylon at Uplands Airport, Ottawa and restored it as an exhibit in 2004.